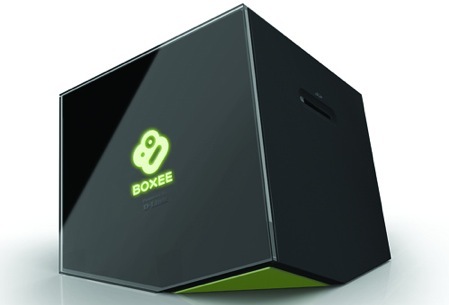 Boxee is clearly on a charge at the moment: After announcing an amazingly-designed set-top box last month, it’s just revealed plans to launch a paid TV service that’ll arrive in the Summer. In its blog posting on the matter Boxee makes it totally clear why it’s proceeding with this plan: “Users want to see more content” and simultaneously “content owners want to be paid for what they produce.” If Boxee is to expand its broadcasting repertoire, it obviously has to cast its net wider–and Boxee sees no conflict between offering more TV shows and movies and paying the providers for the privilege. It signifies that the upstart, disruptive broadcasting system has truly grown up. To that end, the Boxee Payment Platform, which will offer one-touch show purchasing, will arrive in the Summer. And to ally any fears among its fans that Boxee will be joining the same sort of overcharging game as the traditional media channels, Boxee is promising its revenue sharing scheme will be “lower than the 30% charged by many app stores.” Though it’s up to the providers how much they charge, including subscription and pay-per-view, this should translate to lower prices to the consumer–unless they are determined to scrape as much cash up as they can. But some words further down in the blog posting are even more intriguing: Boxee notes “It’s our belief that the Internet is ready to become the 4th method of distribution for broadcast & premium content.” That means the company is strongly positioning itself on the same level of importance as cable, satellite, and IPTV–and potentially in a stronger position as it’s leveraging Net technology, which is possibly more future-proof.